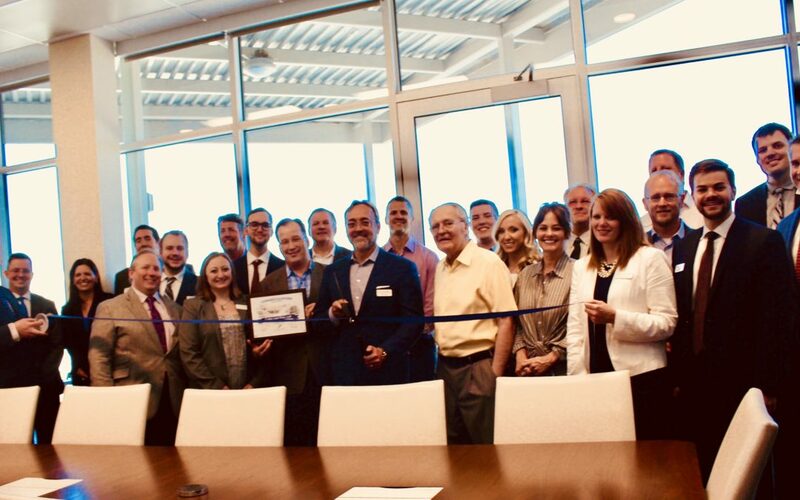 After months of construction and moving, Cutler Law Firm, LLP celebrated its new home in downtown Sioux Falls on the 4th floor of the recently renovated Equity Trust building with a ribbon cutting with the Sioux Falls Area Chamber of Commerce on Thursday, May 31. A full service law firm, Cutler Law Firm, LLP was started in 1997 and has grown to 20 lawyers with practices ranging from corporate and business law to personal injury, commercial litigation and family law and everything in between. Cutler Law Firm, LLP is proud of its growth in downtown Sioux Falls and looks forward to serving the greater Sioux Falls area from its new downtown location for years to come.